Real estate investments can be quite lucrative but only if you know what you are doing. If not, you can lose money, especially if you are not careful. Opportunities are abundant around, but many people are afraid to take a chance on and start investing in real estate properties. The fear of failure and losing money is mainly because of lack of knowledge. If you have decided to begin a career in real estate investment in Orlando, Florida, you know it is a risky business. The goal is to profit and keep accumulating your earnings, so you have more cash in the future. 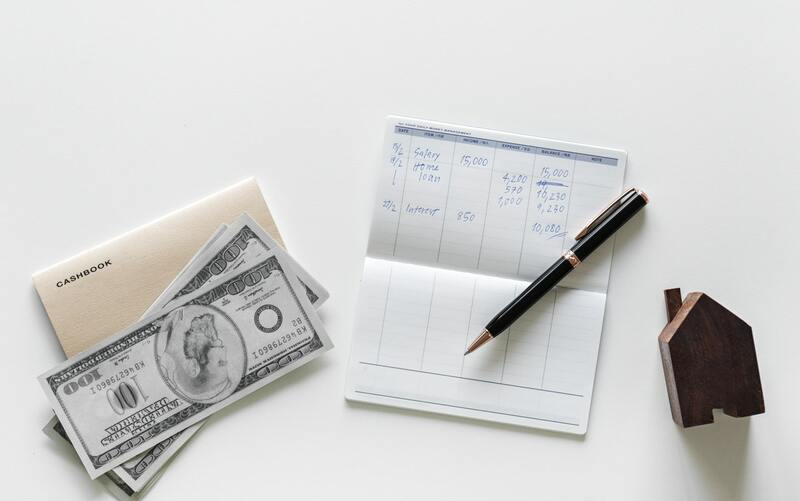 Profits or returns should be enough to cover the risks, as well as the property taxes you need to pay and the other costs associated with real estate investments, including utilities, maintenance, and insurance. Thinking about real estate investments brings up memories of playing Monopoly as a child. Winning this game is simple, but it requires a good strategy. First, you need to buy a property, avoid bankruptcy, and earn money through rent. You will use the money to buy even more properties, and then you repeat the steps mentioned. However, simple does not mean easy in investing since mistakes can lead to many consequences, especially when it is not play money. First, it is possible. See the many success stories here, of rental homes we have helped investors buy in the Orlando area. Our investors come from all walks of life, including businessmen, moms, parents, local residents and international investors. Leverage: Real estate investment offers you the ability to leverage your capital numerous times over. If you find a property that you know can help you gain profits, you can borrow funds if you cannot afford it at the moment. Tax Advantage: One example is that the government treats earnings from real estate as capital gains. In this case, the taxes are lower compared to employment income that is taxed at a higher bracket. Aside from that, the tax basis can even be reduced over time since the tax code lets you depreciate the property every year. Additionally, if you have a property that generates cash flow from rents, you can even enjoy your earnings without worrying about self-employment taxes. Control: Investing in real estate gives increased control over the property, which is why many people choose this industry. Unlike with stocks or even mutual funds, you need to wait passively, so those assets increase in value. You do not control the operations unless you are a major shareholder of the company. It means you cannot do anything directed toward the improvement of the investment value. With real estate, you gain some control over specific variables, including increasing the value of the property through renovations and enhancing its appeal. Real estate investing also lets you protect your capital in case of inflation. It is also possible to use the property to provide you with write-offs for taxes against other income. In short, there are plenty of benefits that you can get with real estate investment. Property Appreciation: This term means the value of the Orlando property increases because of some changes in the real estate market. Perhaps the land around the property has become scarce, or a major shopping center is being built, so it is much busier than before. Upgrades can make the property attractive to buyers or renters, which is why the value increases. Cash Flow: To earn with this method, you will focus on purchasing a property. For instance, you bought an apartment building. You will then have to operate it and later, you can collect cash from your tenants who will have to pay their rent monthly or at a specific time. Apartments are not the only type of property that allows you to have cash flow income. You can even generate profits through office buildings, storage units, and rental homes. Related Income: Specialists in the industry, such as brokers, gain cash through this method. Brokers earn through commissions whenever they have a client who buys or sells properties. Real estate management companies such as ours are also specialists in which they keep a percentage of the rent price in exchange for running the daily operations of a particular property, so you don't have to. Ancillary Income: This technique involves some items, such as vending machines located in office buildings. Low-rent apartments can add laundry facilities to add to their income. In effect, these things serve as additional businesses within a more extensive real estate investment. You can choose which method works for you. The beauty of these profit-making ways is that you can select not just one but all those that suit your situation. Renting out a house or any property is probably the most common investment strategy where you purchase a property to rent out. You need to find tenants who will pay the monthly rent, which will be the primary source of profit. The owner of the property is usually the landlord who is also responsible for looking for occupants, drafting the agreement between the landlord and tenant, and maintaining the property. If there are problems, such as repairs, it is your job to fix them. To make your work much more manageable, you can hire a property manager in Orlando to help you out with the mentioned tasks and more. Another strategy is where you purchase a property and hold ownership until such time that it appreciates in value. When it happens, you will sell it to earn profits from the margin. This technique can be even combined with the first strategy above. While waiting for the property to increase in value, you will look for tenants to occupy it first. This method allows you to generate rental income before you sell the property for a much bigger profit. Market values do fluctuate both up and down, so you want to make sure you speak with a professional to see if this strategy works for you. The third one is to fix and flip. Many investors have gone after this option in Orlando and competition can be particularly fierce. You would have a real estate brokerage find properties for you typically in need of repair and is a "fixer upper", for a discounted price. Then, you will have to renovate and repair, which will improve its value. Once you're done, you can sell the home at a higher price to gain a profit. Fixing and flipping can be tricky because you have to make sure you will get more cash than the amount you spend on repair. You can ask for the help of a real estate agent who can give you an estimate of the expenses and whether or not the property is worth an investment. There is a lot to learn when investing in real estate in Orlando. It is complicated, and many beginners think it is more difficult than investing in stocks. You need to understand some terms and requirements, including legal, extensive due diligence, and other legalities. However, it can be helpful to familiarize yourself with the basics. And always, remember, location, location, location. Location matters a lot when it comes to buying an investment property. An unsightly view of a noisy busy street may deter both buyers and renters who desire more peace and quiet for their family. If you would like further information on investing in Orlando, give us a call! It would be our pleasure to serve you. We have helped countless number of investors such as yourself buy and manage investment homes in the Orlando area. Disclaimer: American Dream Homes, Inc. is not a licensed tax consultant, financial advisor or legal consultant. Please make sure you contact a financial advisor and tax consultant before making any investments of any kind.